In a situation where even the ideologues of capitalism suggest that it has run its course, the issue of its future comes up again, Vladimir Lepekhin says. The articles of some Rossiya Segodnya Zinoviev Club members posted on Ria.ru, in particular, one by Pavel Rodkin, Globalism as a New Stage of Monopoly, timed to coincide with the centenary of the publication of Lenin's work Imperialism, the Highest Stage of Capitalism, have prompted the present author to continue the discussion of issues related to the essence and prospects for today's global economy. I share Rodkin's point that a century later, far from losing its relevance, the aforementioned work still rivets researchers' attention with its methodological clarity. I believe that this is not just because the only alternative to capitalism that was put into practice — the so-called command socialism — has in fact proved unviable, but also because a new, post-capitalist economic model has yet to be formulated. Meanwhile, there is a growing need for a real alternative to capitalism (defined as a social system that prioritizes money, not human development). There is an alternative to capitalism but modern economists and politicians for the most part do not see it. Why? Say, because neither society nor the modern economic science has a clear understanding of capitalism yet. Marxism, which lays claim to uncovering the secret of capitalism, specifically the mechanism of the generation of surplus value as the source of Capital (hence capitalism) has become so deeply ingrained in the minds of several generations of Russian and foreign economists — in the form of simplified, dogmatic schemes — that it is still a major tool of overt or covert manipulation of public opinion and self-deception. However, it is becoming increasingly obvious that in his well-known works, Karl Marx has described the profit generation mechanism in the production and trade process, not the generation of capital as such. As a matter of fact, the transformation of the profit generated by the sale of manufactured goods into a self-sufficient phenomenon that can reproduce profit in areas that are not related to industrial or agricultural production is the essence of the capital formation and accumulation process. In other words, capital is formed during the transformation of profit (as part of an income received by a manufacturer) into a self-sufficient entity that generates new values and new profits in the process of money circulation. This is the main secret of pre-monopolistic capital. Unfortunately, even now, in the 21st century, attempts to bring this secret out into an open public discussion is frowned upon. This despite the fact that amid the assertion of self-sufficient supranational financial control, there are at least two fundamental processes that call into question Marx's discovery of the surplus value generation mechanism, his profit-to-capital transformation formula and his model of the exploitation of the hired worker. First, the main super-profits today are generated not in production or even commercial spheres (so far these spheres are differentiated and therefore competitive, which leads to falling prices, for example, on the oil market). They are generated in the sphere of asset and fund management where there is almost no competition due to the extremely high extent of the monopolization of the financial management system. You can't really say that the dollar and the euro are in serious competition with each other if both currencies are controlled by the same group of banks. Hence the arbitrary (non-market) monopoly-controlled margin in any sphere — from the diamond trade to arms production. Second, the process of "the exploitation of man by man" (or the exploitation of hired labor by employers) has long evolved into the process of the exploitation of the rest of humankind by the anonymous owners of major multinational corporations. For example, if only robots work at a particular company, while any manager is at the same time a co-owner (shareholder) of this company, where are the exploited and where is the exploiter? That is, if we don't go into the essence of the global economy. The international division of labor is such that exploitation no longer has territorial, sectoral or other boundaries and linkages. Not just individual social groups but entire countries, nations and even civilizations are becoming the exploited ones. For example, Ukraine, where an angry mob smashes Lenin monuments instead of reading his works in which the leader of the world proletariat predicted, for instance, how the IMF would bleed dry new slave nations, except for the Ukrainians, first reducing them to the level of mass idiotism and then driving these nations by hired managers like Poroshenko and Yatsenyuk. Third, amid the overproduction of goods, capital as an independent essence creates and expands the sphere of services that are often only provided to create new media to accelerate monetary circulation (for example, putting it online) and thus generate super-profits from new services, above all, financial and information services. The global economic structure today makes the manufacturing sector increasingly dependent on the management and service sector. As a result, ruling states and communities (the West) get an enormous advantage over producing states. Russia has ended up among the exploited. 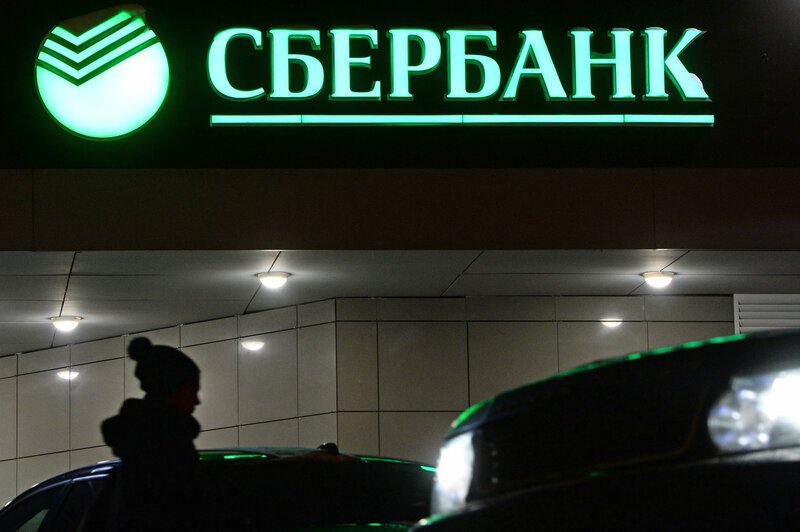 I believe the remarks by Sberbank head German Gref at the recent Gaidar Forum at RANEPA [Russian Presidential Academy of National Economy and Public Administration] should be seen in the context of the ruling elites' awareness of the new reality. His description of Russia as a downshifter state is not a rebellion by a Russian top economic manager against the Russian ruling establishment. It is a rebellion by a regional manager of the global economy against multinational owners in the "we've been had" spirit. Russia was purportedly promised a role as an exploiter and beneficiary of the global economy, if not an exploiter of the global majority, and then it was stood up. Economic sanctions against Russia have shown its real place. Is Russia now interested in strengthening the global system of capitalism? Of course not. Can it afford to become a peripheral and therefore exploited part of the West? No. Maybe "sovereign capitalism" is an option for Russia? Due to the growing globalization of capitalism, no, definitely not. So then, what do the participants of the Gaidar Forum discuss from year to year? Timofei Sergeitsev, another colleague of mine at Zinoviev Club, in a Ria.ru article, entitled Can We Restore Industrial Capital, argues that "as a result of modern neocolonial technology, resources are being pumped out of us, among other. This is why it is so important for liberal ideology to prove that we should be with the West. As a matter of fact, this is precisely what they've been trying to do for years at Gaidar forums." Fortunately, entirely different things are discussed at other economic gatherings. First, how to preserve and then augment Russia's industrial assets before they are completely privatized by multinationals or de-capitalized. Second, how to make the Russian economy competitive without abandoning its traditional national (for example, social) priorities. Third, whether it's possible to establish "sovereign non-capitalism" in Russia. The last supposition mentioned is quite possible (albeit only in theory today). This is not about restoring command socialism as a system where the distribution of labor, resources and goods is nationalized but rather a system that is characterized by priorities other than modern capitalist priorities. Not globalism and monopolization but competition among sovereign (state and civilizational) global economic components. The priority of production assets rather than financial capital. Not the distribution of manufactured goods with the participation of state bureaucracy but an effective distribution of production assets with the participation of national governing bodies. Direct public control of the country's strategic assets, etc. (through various non-state forms of ownership). Iskander Valitov, another Zinoviev Club member, in an article Russia's Economy and Oil: Time to Cross the Flagged Line, writes that "Russia should muster up some strength and choose to have an economy of its own." "The economy as it was described by Marx, and since then many times rewritten by other well-known economists, doesn't exist anymore," Valitov says. Indeed (to reiterate), 21st century capital is fundamentally different from the one described by Marx. A key new feature here is that the consumer and surplus value of any significant product is established not by the free market but by the owners of the global quasi-market — monopolized, politically validated and informationally substantiated. This is the main secret of 21st century capitalism, which has long been an open secret. It is critical to bear this in mind when discussing Russia's capitalist present and its possible post-capitalist future.